How have we come from the moral outrage over Dr. Jack Kevorkian to legislation legitimizing this practice? I don’t know. But I do have some misgivings. Firstly, doctors are not gods and they cannot reliably predict who has six months or less to live. These probabilistic statements are impossible to make. Witness President Jimmy Carter who had metastatic melanoma to his brain only to be eradicated by immunotherapy that restored his immune competency. Secondly, the involvement of physicians, who get paid by the health care system, sets up a conflict of interest situation when health plans might easily want to switch from paying for experimental or comfort care to expediting the end-of-life option. 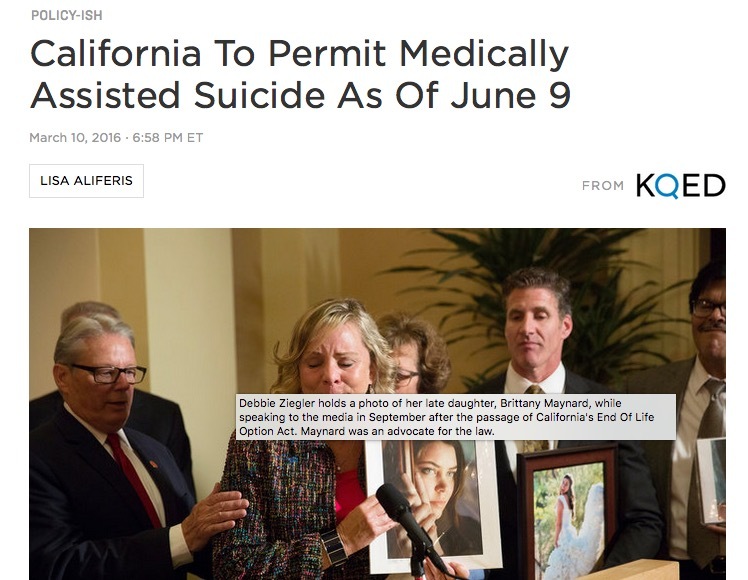 Physician-assisted suicide has long been practiced on a case-by-case sub rosa level with the anguish and personal involvement of an ethical and involved personal physician. Now it reeks of some kind of “death panel” and that should concern us as a society and consumers of so-called “health care”. Thirdly, there can always be cures from science or by the patients themselves who can use their own innate capacity to heal. Consider the “incurable” disease of PMR, which causes chronic debilitating pain; and consider this anecdotal evidence of improvement in my webinar. So how did we get to legislation protecting a new generation of would-be Kevorkians when that used to be such a negative association? As you will read in this blog, the job of physician has always been a sort of slow-motion suicide counselor and the physician has always held hopelessness to be its core belief. Allopathic medicine has misconceived life as the slow and inevitable decay of the body to be clumsily and fecklessly managed with newer pharmaceuticals. All attempt at using natural means such as diet, mindset, alternative therapies, and herbs have been marginalized as a matter of near religious fervor. I am grateful that my perspective on the hopelessness of life and the merits of trying to stay young and healthy have shifted because this new legislative fig leaf is not a boon to patients but rather an uncovering of the dark subtext of much of what passes for the healing arts. Life is a precious gift meant to be savored until the bittersweet end with loved ones. It is not something that you have two bureaucratic physicians agree is hopeless and worthy of ending with a pill. Dear JP, thanks for your comment. Perhaps you misunderstood my intended meaning. 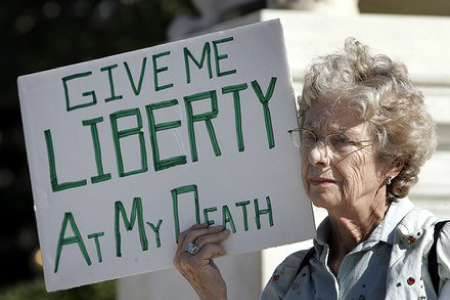 I am not opposed to physician assisted suicide per se. I am concerned about the ramifications of having insurance companies get involved because they pay doctors and pay to keep so-called terminal patients alive. I don’t know what you mean by $25,000 but the cost to be on adaptogens could be as low as $400 a year if you take generics. So better to keep people’s stem cells from eroding and ending up on ventilators. It is sad that the FDA won’t approve autologous stem cell use but they approve stem cells to treat dead people. Clearly sickness is a business and rather than keep people sick for as long as is profitable, our society should keep people healthy for as long as possible.